It’s time to choose the best WordPress newsletter plugin for your website! In today’s time, creating awareness about your brand or company among the potential customers is of utmost importance for the growth of your business. Creating awareness among millions of customers is a very tedious task. We now live in a world where catching someone’s attention has become harder than ever. Email addresses are one the most powerful contact information about a user. So, building an email list of all the users is the most important thing that you can do for the growth of your online business. Newsletters are a powerful medium of getting a large number of subscribers from a website. They are in the form of a pop up with a subscription box, which requires the email address of the visitors on the website. The users by signing the newsletter of your website have already shown the eagerness to continuing listening to you. The last thing required is to keep the record of all the subscribers so that you can make them aware about your future products. 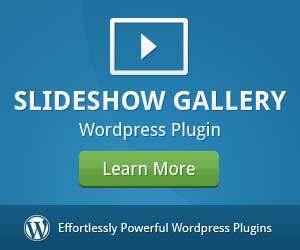 WordPress newsletter plugin users can view their total user base and email users. Automated email updates are sent to the users based on their relevant activities. Tribulant is a newsletter plugin for WordPress which attains all the emails, subscribers, marketing, and newsletter related needs for both personal and business environment. This newsletter tool is all in one for your WordPress site which can be configured to behave as desired providing the best experience for your email subscribers at the same time. The software works the same way as you do so that you can focus on creating newsletters and give your website the required exposure. Professional, customizable, pre-made templates inclusion allows you to start sending an attractive newsletter to your subscribers without wasting any time. You can also design or purchase your own email templates online and add it to the plugin. Templates can be used for different purposes as there are no limitations. Complete information regarding the emails sent, subscriber growth, unsubscribes and bounces are displayed in the form of charts. An individual feedback is sent to you regarding the emails read/opened, unsubscribes and bounces. Information regarding the clicks on the links inside the newsletter is also sent to you so that you have an idea as to what works for you and what doesn’t. OptinMonster is defiantly among the most popular newsletter plugin out there. While the old version of Optin Monster was not so feature rich and other plugins like Bloom rated better. The new version of OptinMonster consists of some additional new features which make it worthy of consideration. One standout feature of the new version of OptinMonster is the smart subscribers recognition that displays only those subscribers which have newly subscribed. Another feature is the full page takeover that can be annoying but highly effective. Another feature is the MonsterLinks that allows the users to click a link to see an opt-in form popup. It is available at a price of $9+/month. Bloom newsletter plugin is beautifully designed with over 115 templates. There are six different popup form types: pop-ups, fly-ins, widget area, in-line with content, below content and content lockers. With bloom, the user gets detail stats of their top converting pages. There are tons of designs options and triggers which control the display of your opt-in form. Along with this, there is a powerful feature to control the display of the opt-in form. Subscription plans start at $89/year which include the access to all the 87 themes and 5 other powerful plugins. Newsletter is one of the best newsletter plugins that help you start collecting emails and in return grow your mailing list. With the help of this plugin, you can store your visitor’s emails locally which can be exported or imported to a mailing provider of your choice if you wish to. Whenever a user registers to your site you have the option to add automatically to your list. Along with this, there is an email tracking feature with advanced statistics so that you become aware of who is opening your emails. Newsletter is available for free or $45/month. ALO EasyMail is the best mailing solution as it allows you to collect emails and also send emails to one place. This plugin has a wide range of features on offer which includes report stats of newsletter open rate, links clicks etc. 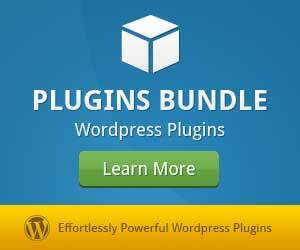 By using this plugin you don’t have to pay a monthly fee to plugins like MailChimp, Aweber and others. You get the freedom of creating and managing mailing lists along with managing the subscribers. ALO EasyMail Newsletter supports Multilanguage. WP Subscribe Pro is a premium newsletter plugin which offers all the necessary features which include an opt-in form popup, basic popup triggers such as specific posts/pages, time delay, exit intent etc. The design customizations and popup behaviors are pretty simple. So as a user you can start using it in no time. 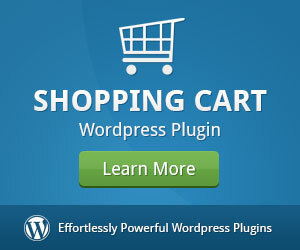 Its pricing policy sets it apart from other premium plugins. Most of the premium plugins give updates and support for only one year whereas, in WP Subscriber Pro’s case, you will get lifetime updates and support. It has been priced at $29 for lifetime updates and support. Need a cost effective newsletter plugin? MyMail is for you. It is one of the most powerful newsletter plugins and can save you a lot of money, if used properly. This works with other form-builder or popup plugins like Ninja Forms because this isn’t a pop-up plugin itself. MyMail builds fully-functional newsletter software on top of WordPress. Third party services like Mandrill and Amazon SES are used to send out the emails to your subscribers. There are six types of autoresponders and supports real-time tracking of mail open rate, clicks and more. 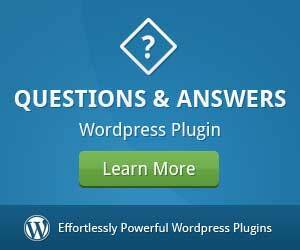 WordPress Popup plugin is available in both free and premium version. It is developed by WPMU DEV. This popup offers most of the good features such as 8 popup animations, 20+ conditional behaviors, various popup trigger options and more. Responsive popup forms can be designed using the free form builder or any of the pre-built customizable themes. 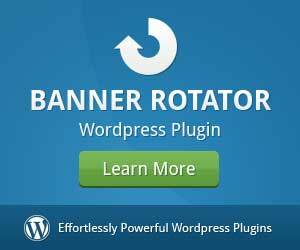 The premium version of the plugin consists of more popup trigger options and ad-blocker bypassing. As a beginner, this plugin is a great option for you. The premium version will give you the access to WPMU’s library of multiple plugin lists. SendPress newsletter plugin is perfect for you if you are looking to give a boost to your email marketing. This plugin consists of great features which will help you design the templates and edit the contents of your newsletter in whatever way you like. Some of the features of this plugin include getting unlimited subscribers, sending unlimited number of newsletters which are fully responsive, tracking facility, there is a feature of single and double opt-in. The plugin also tracks the clicks, emails and unsubscribes from each mail. It allows you to send free newsletters using your web host or Gmail. MailChimp is a great plugin which allows you to add some subscribers to your MailChimp list using some methods. It also allows you to add methods of sign up for your MailChimp lists to your WordPress website. Some of the features of MailChimp plugin include an easy use of sign up forms, editable form fields and smooth integration with other plugins etc. Some add-on plugins are also available. By using the Premium add-on you can avail other benefits like email notifications, simpler ways to style forms, WooCommerce & Easy Digital Downloads integrated with eCommerce360. Using a WordPress newsletter plugin is one aspect of marketing you should prioritize. 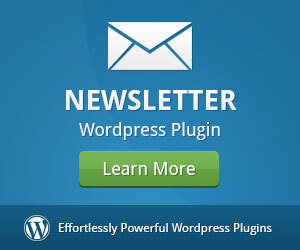 A WordPress newsletter plugin provides a great medium to market your website or business. However it’s important to have a content marketing plan. The rate at which emails are sent and the content which is more marketable should be taken proper care of. As a user, you must consider your budget keeping in mind the features which you need and which can help your business grow manifolds. Sarah is an experienced WordPress developer, working at WordSuccor Ltd. She provides WordPress Plugin Development Services and has a team of expert developers to assist her in every project. Get in touch with her now for any assistance regarding WordPress development. Follow her company, WordSuccor on Twitter.